Each year, the Gulf of Maine Council gives two Visionary Awards to individuals or organizations in each state and province bordering the Gulf. With innovation and creativity, these visionaries illustrate a deep devotion to improving the health and future well being of this vast and precious watershed. 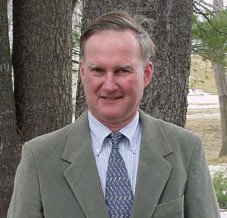 The ecological restoration of the Gulf of Maine watershed has gained tremendous momentum over the past several years, thanks to people like William Hubbard, Chief of the Environmental Resources Section, U.S. Army Corps of Engineers, New England District. From projects like the massive Sagamore Salt Marsh restoration in Cape Cod to the Smelt Hill and East Machias dam removals in Maine, Hubbard has led a team of federal agencies, nonprofit organizations and individuals under the umbrella known as Coastal America since the organization was established in 1992. Hubbard chairs the Northeast Regional Implementation Team of Coastal America and the Coastal America Foundation for the Massachusetts Corporate Wetlands Restoration Partnership, and serves as the Northeast Federal Agency Regional contact for the National Corporate Wetlands Restoration Partnership. Known for his patience, expertise and good humor, he helped develop Coastal Americas initial programs and philosophy, including the structure for the regional Corporate Wetlands Restoration Partnership (CWRP). The program links corporations and federal and state agencies with local communities, non-profit organizations and academia with the goal to restore wetlands and other aquatic habitats. Beginning at the outlet of Bow Lake, the Islinglass River in New Hampshire meanders for nearly 18 miles through one of the fastest growing regions of the state, Strafford County, before it flows into the Cocheco River. Despite development pressures, the Islinglass has maintained its natural beauty, wildlife and plant characteristics. The river supplies drinking water to the City of Dover and recharges numerous wells along its course. Its high quality also contributes significantly to the health of the Cocheco River. Thanks to the Islinglass River Protection Project (IRPP), the Islinglass became one of 14 rivers designated in 2002 under the New Hampshire Rivers Management and Protection Program. Formed in 2000, IRPP is comprised of a handful of local citizens who organized a strong network of support through educational outreach programs, petitions and public meetings. Their nomination outlining the rivers values and importance persuaded the states environment commissioner and ultimately the state legislature that the designation would go a long way toward ensuring the rivers integrity. Bruce Smith, Seascape Kayak Tours, Inc.
Travelers looking for a quintessential geo-tourism experience might consider Bruce Smiths kayaking sojourns around the southern Bay of Fundy. Bruce and his wife Malena operate Seascape Kayak Tours Inc., in Deer Island, New Brunswick with the goal of educating kayakers about the aesthetics of the Bay and fostering an appreciation of its natural, cultural and economic history. A certified wilderness emergency medical technician and wilderness first aid instructor, Bruce Smith grew up in Quebec in a family of water sport and nature enthusiast and holds a degree in secondary education. The riverfront in Newport, Maine is beginning to look a lot different these days due in large part to the vision of its town manager, James Ricker and his staff. Through federal, state and municipal financing, the town has made the Sebasticook Riverthe largest tributary of the Kennebecmore hospitable to the fish that used to swim up the waterway in great numbers to spawn. The three-part project began with the removal in 2002 of the Guilford Dam, a major obstacle for fish trying to swim upstream. Next a fish passage was installed in the North Street Dam at the mouth of Sebasticook Lake to ensure fish migration. Another project has re-channeled the east branch of the river between the Sebasticook Dam and the former Guilford Dam to its original course, bending the river gradually to the left. The restoration has created the largest spawning and nursery habitat area for alewife in the Kennebec River watershed and preserved an ancient American Indian archeological site. Ricker and his staff put hundreds of hours into the project and are moving forward to improve other features of the waterfront. The town has applied for a $75,000 grant to begin erosion control measures on part of the Sebasticook River and another grant to provide design funds for creation of a nature walk and parks along the river. If you are one of the more than 3,000 subscribers to the e-newsletter circulated by the Atlantic Coastal Zone Information Steering Committee then youre well aware of the abundance of activities on coastal zone issues. As a major facilitator of information and data exchange, ACZISCs monthly Coastal Update brings readers in Atlantic Canada, and beyond the latest news and contacts regarding conferences, workshops, studies, books and other coastal-related events. But thats not all. Behind the scenes, ACZISCs committee members meet three times a year to bridge the gap between agencies involved in integrated coastal management and related data. Representatives come from eight federal departments and four provincial governments, academia and the private sector within Atlantic Canada. Their mission, says Michael Butler, ACZISCs chair, is to review region-wide initiatives, define problems and work to implement and integrate sustainable policies and actions. ACZISC has compiled an inventory containing some 500 databases relevant to the integrated management and sustainable development of the regions coastal zone, and is developing a Discovery Portal to Atlantic Canadas geographic data. In addition, the Committee supports an inventory of coastal mapping projects and organizes coastal mapping workshops. It has been a key player in the Coastal Zone Canada conferences, which are held in a Canadian city every two years. 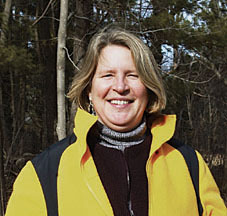 As executive director of the Seacoast Land Trust (SLT), Danna Truslow has been instrumental in creating sophisticated Geographic Information Systems maps for two coastal New Hampshire watersheds, Berrys Brook and Sagamore Creek. The maps incorporate water resources, wildlife habitat, soil and land cover types to help the land trust and the communities it serves identify the most important parcels for conservation protection. To define greenways and wildlife corridors that cross town boundaries within the land trusts service area, SLT is also conducting a large-scale mapping project that includes Portsmouth, Greenland, Newington, North Hampton, Rye, Stratham and Newcastle. This will give us more of a big picture look at the landscape, Truslow says. She has also managed to secure funding and recruit an army of volunteers to assist with habitat restoration projects, passive recreation trail clearing and trash pickups at the Great Bog. In 2001, SLT became the conservation easement holder for the property, a notorious dumping ground for abandoned and torched vehicles, motor parts and debris. Working with the state's public utility company and other agencies, Truslow and SLT supporters organized a mass clean up of the bog by hauling away the auto parts and working to restore up to 40 acres of upland into grasslands. The expectation, Truslow says, is that more birds and wildlife will use the cleared areas for nesting and feeding, further enhancing the bogs value as a biological habitat. In the mid-1960s, Mary F. Toomey an English teacher at Weymouth High School was approached by a member of the local conservation commission asking if shed help protect an unusual parcel of land along the Weymouth Black River near Boston. The request would forever change her life. Before long, Mary set up a nature center near an area known for its outstanding glacial eskers. The success of the center and Toomeys drive to call attention to Back Rivers marshes, headwater ponds, uplands fish and birds, attracted Dr. Mary Sears, an oceanographer at the Woods Hole Oceanographic Institute. Dr. Sears told me that the Back River estuaries controlled the nursery for the offshore fisheries, Toomey said. Then she asked me: Will you come down to Woods Hole and Ill teach you the value of this esturary? And Toomey said yes. There, Sears handed her The Fisheries of the Gulf of Maine by Henry Bigelow, thus beginning a long tutelage and friendship. Sears died in 1997. But with Sears inspiration, Toomey evolved into a passionate grassroots activist. 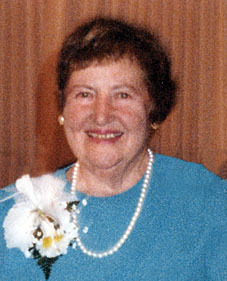 She was instrumental in creating the Weymouth Back River Area of Critical Environmental Concern in 1982; helped identify a hazardous waste site on Weymouth Neck that is now being cleaned up and restored by Conoco-Philips Inc; and lobbied extensively for 15 years for a state park on the Weymouth Back Riveran effort that led to the opening of the Abigail Adams State Park last summer. Because of the contributions of Dr. Kenneth Mann and others, the concept of a natural system functioning as an ecosystem has become inscribed in the marine and biological sciences vernacular. For more than 50 years, Manns achievements and role in the aquatic sciences has significantly raised the stature of these fields and brought to light the human impact on ecosystem processes. In 1967, Mann emigrated to Canada and became a government scientist with the Bedford Institute of Oceanography (BIO). He later served as the chair of the Department of Biology at Dalhousie University and director of the Marine Ecology Laboratory at BIO. 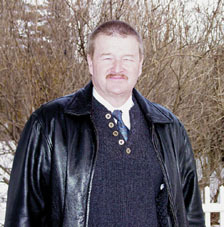 In 1987, he became a full-time research scientist in the Habitat Ecology Division. 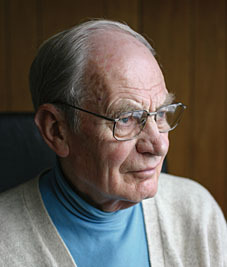 While he retired in 1993, Mann remains active in university and government affairs. 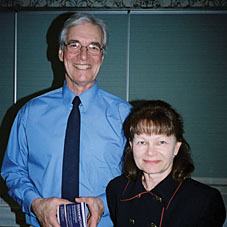 His published work includes Ecology of Coastal Waters: Implications for Management, and with R.S.K. Barnes, Fundamentals of Aquatic Ecosystems. He is working on a 3rd edition of Dynamics of Marine Ecosystems. For several years now, the state of Maine has carried out an ambitious plan to remove dams, install fishways and restore native species to the states lakes and rivers. When it comes time to write the history of this remarkable era of river restoration, Thomas Squiers will figure prominently. Squiers, a fisheries biologist with the Maine Department of Marine Resources has spent his career restoring diadromous fish and their habitats in Maine rivers. He has initiated and maintained multiple partnerships, conducted public outreach, raised the necessary funding to complete the projects and provided considerable biological and technical knowledge throughout the process. Squiers served as the lead biologist for the Edwards Dam removal and has led a number of projects within the Kennebec and Androscoggin watersheds. 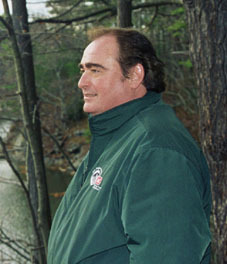 Among his most notable accomplishments: years of work restoring alewife pools in the Sebasticook River and groundbreaking research on the short-nosed strugeon that revealed extensive information on their population, age structure, recruitment, growth rate and reproductive success. In recent years, Squiers coordinated the Guilford Dam removal on the Sebasticook and the installation of fish passages along the river. Our hearts are with the river and with the fish, goes the motto of the Big Salmon River Angling Association (BSRAA). Founded in 1983, the group works to raise awareness about the river and fund research projects to recover the dwindling stocks of Atlantic salmon. 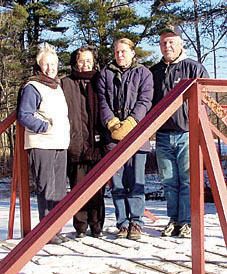 In the 1990s, the association, led by Rita Almon, developed a pioneering program for raising fish of wild origin and re-introducing them into the river. The program involved capturing wild smolts as they moved out to sea, then transferring them to sea cages at the Atlantic Salmon Demonstration Farm in LimeKiln Bay, New Brunswick. The programs success set the groundwork for other fish rearing programs in the Bay of Fundy. Over the years, the association has conducted extensive water monitoring programs in the Big Salmon River involving several sites. The most recent surveys for water chemistry, benthic macroinvertebrates and fish indicate the river remains in a relatively pristine state. In another project, BSRAA is working with the Mactaquac Biodiversity Centre to set out salmon eggs grown from wild brood stock into the Big Salmon. 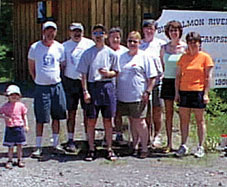 To raise money, educate and build community support, BSRAA hosts several fundraising events each year. Each fundraiser aims to educate and build community support. "We do everything as a family," Almon says, "and always have fun throughout learning and working to conserve and protect the river."